Integrated secondary operations like plating, forming, and passivation. In addition to tin and nickel flash plating, we offer other value-added options for your convenience. Our locally sourced vendors have the highest-quality compliance standards in the business. Because of our long-standing partnerships, they provide quick turnaround services to reduce lead time. Below are the most common types of plating used on metal etched parts. Please contact us for other plating options and secondary services not listed so we can accommodate your part’s specifications. With high ductility and electrical and thermal conductivity it is often substituted for gold to keep costs low and to prevent corrosion and increase strength. Options include a bright or matte finish. 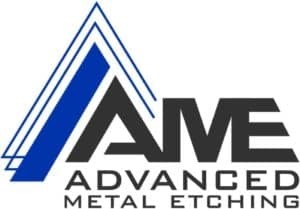 A chemical process free of electrical currents is used to deposit a nickel-phosphorous or nickel-alloy onto the metal part to prevent corrosion and wear on components. This process provides a more even coverage than Electrolyte plating and includes magnetic properties. A popular choice for electronic components, it decreases corrosion, provides high electrical conductivity, and provides reliable contact resistance. Its reflective property helps cool components during operation. An electrical current deposits nickel onto the metal to prevent corrosion and wear resistance. 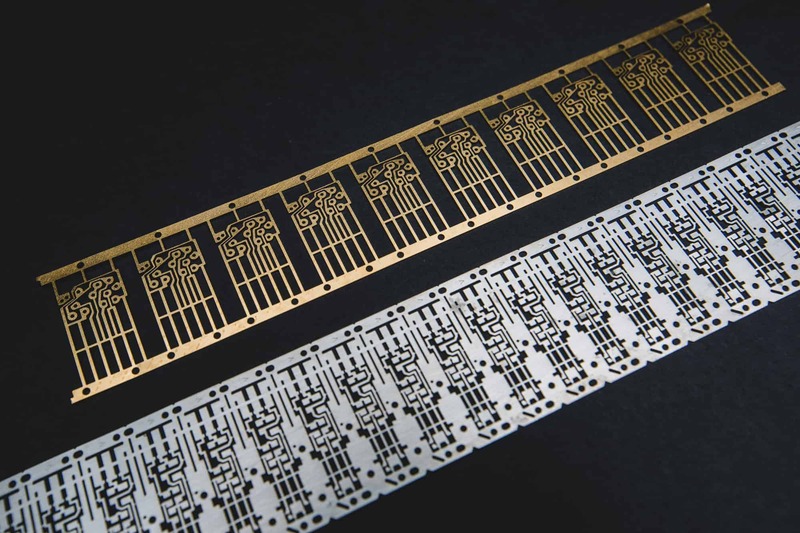 Our half-etch capabilities allow for parts such as board level shielding to be formed by hand following the inspection process. Depending on the material and thickness, photo-etching lines 1/2 of the material thickness will provide a bend at a 90-degree angle. Machine forming is another method to achieve the desired shape when the metal is too thick to form by hand. It is effective in preventing corrosion of stainless steel products and can be critical to the part’s performance. Passivation is the removal of surface contamination on the metal. Our metal prep includes a passivation process before production. It is a method used to polish and passivate intricate metal surfaces that do not respond well to other methods. Typical applications include the removal of iron from stainless steel while enhancing the chromium/nickel content for superior surface smoothness.